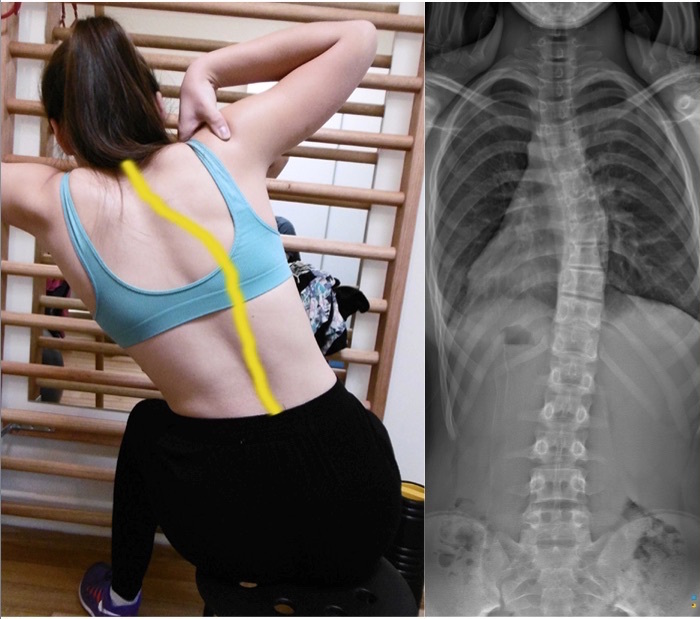 The three dimensional scoliosis brace complements the Schroth exercises performed by the patient, placing their spine in a similar over-corrected position. This overcorrection unloads the apical vertebrae of the curve allowing symmetrical growth to occur. As with the Schroth method we are focusing on reversing the vicious cycle of asymmetrical loading. Research indicates this asymmetrical loading reduces the growth rate of the bone.1 By unloading or reducing the load placed on the wedged vertebrae we increase the growth rate of the affected vertebrae(s). This is known as the Heuter-Volkmann principle. The aim of the Schroth Method and/or bracing in a growing spine is to reverse the asymmetrical loading, hence reversing the asymmetrical growth, reverse the wedging and improving spinal curvature. 9 – Negrini S, Donzelli S, Lusini M, Minnella S, Zaina F. The effectiveness of combined bracing and exercise in adolescent idiopathic scoliosis based on SRS and SOSORT criteria: a prospective study. BMC Musculoskelet Disord. 2014.